Written by: Gary Seman Jr.
A local developer wants to build a senior-care facility in Northland that would serve patients with Alzheimer’s disease and dementia. Reynoldsburg-based Wallick Communities plans to construct the Grove at Oakleaf Village, a one-story, 32,000-square-foot building on Karl Road adjacent to Oakleaf Village, another Wallick senior community with a mix of 121 assisted- and independent-living units at 5500 Karl Road. “The whole idea is there is a need for memory care services in central Ohio, if you look at the demographics, if you look at the increase in dementia and Alzheimer’s and just the memory care services required in that aging population,” said Sharon Shaffer, senior vice president of Wallick Communities. The proposed layout would favor those with memory issues. Unlike some facilities, which feature narrow corridors that can confuse those with Alzheimer’s and dementia, the Grove at Oakleaf Village would orient the doors of the residential suites toward a communal space offering a living area, complete with a dining room and a kitchen. “It’s all a very open design and easy to navigate if you have memory challenges,” Shaffer said. The Grove at Oakleaf, modeled after one of Wallick’s properties in Toledo, would serve about 56 residents. The entire campus would occupy about 8 acres. Wallick purchased less than an acre at 5546 Karl Road to make way for the expansion. The original design has gone before the Columbus Board of Zoning Adjustment for several variances. Shaffer said the current preferred design, combining both properties, would require no variances from the city. 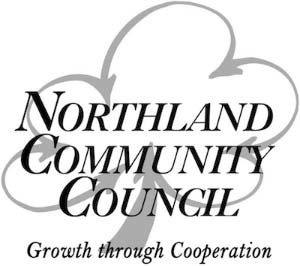 The Northland Community Council recommended approval of Wallick’s original request. Bill Logan, vice chairman of the NCC’s development committee, said he hopes Wallick would, as a courtesy, present any revised plans to the council.